Kirsten Birkett has a Ph.D. in the history of science, and is editor of Kategoria, an apologetics journal addressing common anti-Christian belief systems. She has written several other books published by Matthias Media. Both Birkett and Matthias are strongly connected to Moore College, the most conservative Anglican seminary in Australia. With her background, it’s not surprising that she’s written some good apologetic material, reaching many of the same conclusions as we have, e.g. Science grew out of a Christian framework (see The Biblical roots of modern science and Why does science work at all?). The alleged ‘warfare’ between science and Christianity was manufactured by 19th anti-Christian propagandists such as Huxley, Draper and White (including the myth that the church taught a flat earth). Galileo’s main opponents were the defenders of Aristotelian cosmology, and the Church was unfortunately persuaded to link this pagan-invented cosmology with the Bible (see Galileo Quadricentennial: Myth vs fact). The play and film Inherit the Wind was a great distortion of the Scopes Trial (see Q&A: Scopes Trial). Analyzed the secular feminist movement in The Essence of Feminism, pointing out that it has let women down, while the Bible provides the real answers, which is why the earliest movements for women’s education and suffrage were overtly Christian. This book is also strongly pro-life; Birkett says she is ‘appalled at the power the pro-abortion lobby has had’ (see also Q&A: Human Life). However, as will be shown, Dr Birkett displays an inexcusable ignorance about the importance of Genesis, and this echoes the general Moore College hostility towards literal creation. The final chapter of the book spoils what would have otherwise have been a reasonable introduction to the history of Darwinism. ‘Universality of nucleic acids as the basis for life, DNA in particular’. But the alleged first life did not even contain DNA, though a popular theory is the RNA world (see critique), and there are exceptions to the alleged universality of the genetic code. Homologous structures, e.g. the tetrapod limb pattern. But these similarities are often produced by a totally different developmental pathway (see Common structures = common ancestry?). Birkett provides some useful material about the way Darwin wrote Origin as a work of persuasion, directed at fellow Victorian gentlemen, rather than a real science book with experimentation and documentation. This is why Darwin made great use of analogies, e.g. natural selection and breeding of animals and plants by humans (see Q&A: Natural Selection). However, Darwin had no understanding of genetics, believing in pangenes and Lamarck’s idea of the inheritance of acquired characteristics. The idea of blending inheritance also presented a problem, of how to stop the new trait from being swamped out when the next generations interbred with creatures without this characteristic. Darwin also had the problem that the fossil record didn’t support his gradual change (still the same today—see Q&A: Fossils) and there was a lot of hand waving to explain complex organs. Mendel’s discovery of genetics solved the blending problem in principle, although analysis shows that a new gene is likely to be lost simply by chance, even if it is beneficial (see Are mutations and natural selection sufficient?). Weisman’s proof that acquired characteristics could not be inherited was also a near mortal blow. So by about 1890, Darwin’s theory of evolution by natural selection was largely dismissed, despite the popular misconception that it had enjoyed an untroubled march towards general scientific acceptance. Birkett then describes how a form of Darwinism was revived by combining genetics and natural selection, to give the ‘synthetic theory’. But in Europe, evolutionists downplayed selection in favour of internal factors driving evolution. Her descriptions of some internecine evolutionary debates in Ch. 8 are useful, e.g. Gould’s invocation of other materialistic factors such as mutations in homeotic genes (a type of regulatory gene), species selection and catastrophes, pointing out that the proposed evolution of life is contingent, i.e. it need not have followed this path. Lewontin’s accusation that Dawkins’ adaptationism is misguided, i.e. the idea that every feature is the result of natural selection. Lewontin points out that many just-so stories of adaptation cannot be proven, that it’s impossible to prove that a trait is optimal, and there are features due to allometry, i.e. differential growth rates of different body parts. Pleiotropic genes, i.e. those that code for more than one trait, are another factor. Natural selection may act on one of their traits, and therefore a totally unrelated trait coded by the gene is also unavoidably selected, although there is no adaptive reason for this trait per se. Lynn Margulis’s emphasis on evolution by co-operation, e.g. endosymbiosis, but there are problems with this—see critique. However, Dawkins, singled out for his adaptationism, protests that these accusations attack a caricature of adaptationism he doesn’t hold. ‘Natural selection does not appear convincingly to account for all features which look well designed, or for the origin of species. To say for the rest “it just happened”—even if you call this “the importance of contingent events”—is not a strong theory. We may as well have stuck with “That’s the way God did it”. The rhetoric on behalf of evolutionary theory—“evolution is a fact”—is misleading as long as there are major areas in which it fails to provide explanation for the living world as we see it today, and there is considerable dispute amongst biologists as to what proper evolutionary reasoning is at all.’ (p. 66). She goes on to point out that these disputants put up a united public face to evolution, mainly against anti-materialists. But the only way one can claim that there is good evidence for ‘evolution’ is to define all change as ‘evolution’. Creationists of course don’t deny that things change, but deny that the changes increase genetic information. Yet evolutionists have failed to observe even one example of this, although there should be plenty of examples if goo-to-you evolution were true. Birkett fails to point out this cardinal difficulty with goo-to-you evolution, which is unlikely to be mentioned by many evolutionists, although if she were at all familiar with creationist scientific literature she would have been aware of this (see The information problem). These revealing quotes from Richard Lewontin and Scott Todd support Birkett’s claims that evolution is largely a deduction from materialistic ideology, which rejects a designer a priori. It’s a shame that Birkett doesn’t come down more strongly against evolution, especially as she acknowledges its ideological basis. She’s certainly right that the ideology doesn’t prove evolution is wrong (and neither does the overt Biblical basis of a creationist logically disprove any scientific evidence they adduce in support). But it should also make one even more cautious than she is about accepting their claims. While Birkett acknowledges the contribution of a Christian worldview to science, she seems to think that science must be naturalistic. Historically, the founders of modern science agreed that the way God currently upholds creation (Col. 1:16–17) would be regular and repeatable, and so could be described by ‘natural law’, which must be discovered by experiment. But they never thought that God’s original creative acts had the same restriction, any more than we should believe that the laws by which a computer works are the same as those that put it together in the first place. This is further discussed in Naturalism, Origin and Operation Science. Neither did they ignore where God had clearly revealed what He says He did in the past, but Birkett overlooks this below. She documents the ideological basis for evolution by analyzing the history of evolution in Ch. 10. Darwin’s own grandfather defended an unscientific version of evolution, and was a deist and sexual hedonist. Lamarck linked evolution with the anti-Christian philosophy of the French Revolution. Plenty of mythology has grown up around Huxley, especially his Oxford debate with Wilberforce and the alleged grandfather quip—see Did Wilberforce really say it? What has been overlooked by many is that the ideas of billions of years were also ideologically based, and provided the ‘scientific’ framework for Darwin’s ideas (see Darwin, Lyell and billions of years. So it’s a mistake to challenge merely evolution and try to agree on an intelligent designer, since that compromise failed to stop Darwin in the first place (for example, Paley’s Watchmaker was highly regarded by Darwin, as Birkett notes in a different context). Ch. 15 is titled ‘Three modern religious evolutionists’, discussing the views of Richard Dawkins, E.O. Wilson and Stephen Jay Gould. It’s good that she points out that these materialists are promoting a religion, and her analysis is good. Dawkins has a blatant vendetta against theistic religion, comparing it to the smallpox virus, and claiming that teaching Christianity to children is a form of child abuse. This should be enough to refute the claim, by any Skeptic organisation that promotes him, of their religious neutrality. His wide promotion also shows up the bigotry and intolerance, as well as hypocrisy, of the modern academia and media establishments. I.e. they applaud such idiotic demagogy from Dawkins, but they would be the first to squeal ‘arrogant intolerant bigot’ to any Christian who claimed that atheism was a mind virus or that teaching atheism was a form of child abuse. Dawkins mistakenly thinks that ‘faith’ has nothing to do with evidence (contra Hebrews 11:1) while evolution does. He claims to get much joy from using ‘science’ as a substitute for religion in inducing awe and wonder, claiming a sovereignty for science far more than most real (experimental) scientists would allow. But he also admits that under his own theory, everything is destined to ‘the great universal slide into the abyss of uniformity’, which undercuts his claims about the awe of his evolutionary world view. Wilson apostatized from a shallow Southern Baptist background because of evolution, and rejects theism. But he’s not as overtly hostile towards theism as Dawkins is, seeing it as something that once conferred a survival advantage. But he wants to subsume religion into his evolutionary framework. This includes ethical questions. Unlike most ethical philosophers, Wilson believes that ‘is’ = ‘ought’, committing the naturalistic fallacy but denying it is a fallacy. But the evolution-inspired Nazi Holocaust is an ‘is’ in the sense that it really happened, but few nowadays would claim that it morally ‘ought’ to have happened. So Birkett is right to affirm that it is a fallacy despite Wilson’s claims to the contrary. Gould adopts the non-overlapping magisteria approach (NOMA), which means denying all factual claims to religion. Birkett rightly points out that NOMA presupposes the fallacious ‘fact-value’ distinction. Christianity is more than just ethical precepts (‘values’)—it is primarily a religion about a God who acts in history (i.e. historical facts), taking on the nature of one of His creatures, and who died for their sin. Significantly Dawkins rejects NOMA, pointing out that religions do make claims about history. CMI has discussed the fallacies of NOMA in Stephen Jay Gould and NOMA. By far the worst part of the book is the section on Genesis. It’s sad that despite her proven skills in historical research, Birkett has failed to do even minimal research on what creationists actually believe. A minimal amount of research into the court case (e.g. in our Plimer Files) would have shown that he never took creation scientists to court! His case was against Ark Search, which is not associated with any Creation Science organizations. It also would have been appropriate to mention that Plimer was Australian Humanist of the Year 1995. That was the main driving force behind the case, apart from its being a counter-suit against a defamation action and part of his obsession with self promotion aided by the doting humanist-dominated media. It’s a shame that Birkett just takes him at this word with his history of demonstrably false claims. Actually, Plimer bragged in print that he had divested himself of his assets prior to the publication of his book Telling Lies …, taunting creationists to sue him. It would also be well worth her while to research how exegetes have historically understood Genesis. As shown by the leading Reformed systematic theologian Dr Doug Kelly in Creation and Change (left), the overwhelming majority of exegetes took Genesis as historical narrative until the rise of uniformitarian ‘science’. Birkett would have known that, if she had attended the CMI seminar held at Moore College in 1999, but unfortunately the Moore academics weren’t interested in hearing ‘one of their own’ (‘Reformed’) expound on Genesis. 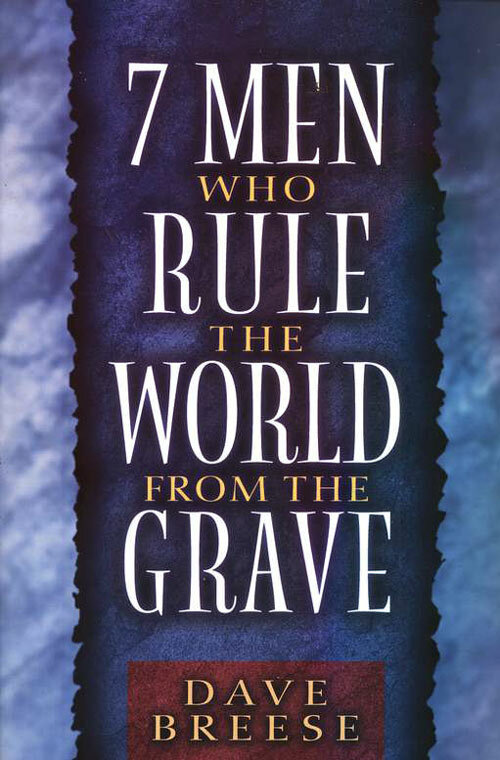 CMI has documented that most of the Church Fathers and Reformers believed in literal creation days and that the earth was only thousands of years old. Birkett cites people like B.B. Warfield as examples of theologians who had no problem reconciling Genesis with evolution. But she misses the point that people like them would even admit that the obvious meaning of Genesis is the plain one, but since that would conflict with so-called ‘science’, they were intimidated into reinterpreting Genesis to fit. Warfield had no qualifications in science, so simply accepted what the evolutionists told him, and being (rightly) unwilling to sacrifice Biblical inerrancy, he was forced to incorporate evolution into his theology. The fact that intimidation with science, not the grammar of the text, compelled evangelicals to compromise, is shown by quotes from Warfield’s predecessor at Princeton, Charles Hodge. Hodge wrote a book What is Darwinism? and concluded ‘It is atheism’. But he paved the way for further compromises by Warfield by his acceptance of non-literal creation days because of alleged geological proof for long ages. 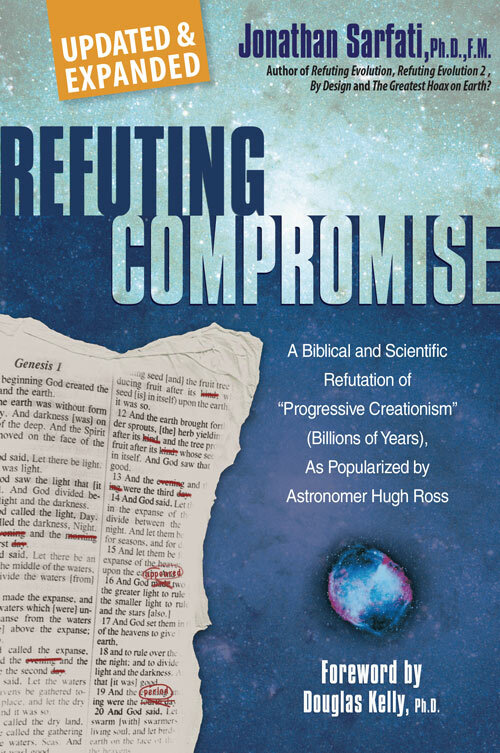 Quotes by modern evangelical compromisers such as Pattle Pun of Wheaton College and Gleason Archer are further proof that uniformitarian ‘science’ not sound hermeneutics is driving their compromise. However, they should have been aware that these so-called ‘proofs’ of evolution or long ages are really interpretations of the facts under a uniformitarian belief system. This is the biggest irony in Birkett’s whole book. She demonstrates that evolution is mainly ideological rather than scientific (and the same should be said of long ages). Then she says that Genesis need not contradict evolution. But her ‘authorities’ for saying this have reinterpreted Genesis precisely because they erroneously thought evolution/long ages were scientific fact! This is a huge problem for her own apologetic efforts. Moore College is among the leaders in the battle against liberalism in Australian Anglicanism, and we applaud their efforts on this front. But the liberals are actually more consistent. Moore in effect teaches that we must reinterpret Genesis because ‘science’ has proven at least the long ages aspect of the current evolutionary worldview. The liberals reinterpret the accounts of Jesus’s Virginal Conception and Resurrection as unhistorical because ‘science’ has shown that miracles such as these are ‘impossible’. The evangelical compromise with Genesis has simply unlocked the door to doubting the authority of all scripture. Research on historical exegetes would have shown her that her alleged ‘problems’ with a literal Genesis were solved centuries ago, yet she raises them as though they were knock-down arguments that creationists were too silly to consider. First, she lectures on the fact that the Bible contains many types of literature, and presents Psalm 19 as an example of non-literal writing. But only those who have never read creationist literature would suppose that creationists are unaware of literary genres, to use the compromisers’ favourite buzzword. However, we have pointed out, this ignores what CMI teaches about interpreting historical narrative as historical narrative, and poetry as poetry, and the distinctions between them—see Should Genesis Be Taken Literally? and Is Genesis poetry / figurative, a theological argument (polemic) and thus not history? She agrees that Genesis 1 is not Hebrew poetry, but claims that it is not a literal chronology of events either. However, the Hebrew grammar of Genesis 1 is exactly what is expected if it were representing a series of past events. That is, only the first verb is perfect, while the verbs that continue the narrative are imperfect. In Genesis 1, the first verb is bara (create) which is perfect, while the subsequent verbs that move the narrative forward are imperfect. Once again, the rationale for a bizarre, novel interpretation is a desperation to fit the alleged ‘facts’ of science. Did God make us from apes? We often see similar pseudo-pious nonsense about a six day creation ‘limiting God’. But the only ‘limitation’ is that we believe that God did as He says He did! It’s our opponents who limit God by, in effect, denying that He could communicate what He did accurately and understandably. This hoary old argument is often put forward as though creationists have never thought of it. But we have pointed out that God is most capable of creating light without the sun, and a directional light source and rotating Earth would provide the day/night cycle (see How could the days of Genesis 1 be literal before the sun was created?). ‘God had before created the light, but he now institutes a new order in nature, that the sun should be the dispenser of diurnal light, and the moon and the stars should shine by night. And he assigns them to this office, to teach us that all creatures are subject to his will, and execute what he enjoins upon them. For Moses relates nothing else than that God ordained certain instruments to diffuse through the earth, by reciprocal changes, that light which had been previously created. The only difference is this, that the light was before dispersed, but now proceeds from lucid bodies; which, in serving this purpose, obey the commands of God.’ (Calvin, J., Genesis, 1554; Banner of Truth, Edinburgh, UK, 1984, p. 83). Even earlier, in the 4th century, St Basil the Great commented on the same passage. Birkett alleges that this further shows ‘the non-chronological nature of Genesis 1:1–2:3’ because ‘clearly “day” in this verse means something other than a 24-hour period of time; it means something like the “the general time at which”, a fact which adds to our impression that chapter 1 may not be setting out to describe a strictly chronological period of 144 hours.’ In a note she admits, ‘The NIV translates “in the day” as simply “when”, which is defensible as a translation, but not entirely helpful given the importance of the word “day” in chapter 1.’ But the NIV is her own preferred translation throughout the book. The Fourth Commandment provides a more appropriate comparison — the six days of the working week and a day of rest were commanded because God created in six days and rested (ceased) from His work on the 7th. There is no point even trying to understand the Bible if a word in the same passage and same grammatical context can switch meanings, without any hint in the text itself. Also, the Fourth Commandment in both Ex 20:11 and 31:17 has the causal explanation ‘For in six days the LORD made the heavens and the Earth, the sea, and all that is in them, but he rested on the seventh day’. The word ‘for’ (Hebrew ki, also having the sense ‘because’) at the beginning of this expression shows that the creation week is the very basis of the working week. On p. 138, Birkett claims that Genesis 1 and 2 teach a different order of creation of man and animals. Unlike outright bibliosceptics, however, she doesn’t claim this proves that Genesis is errant, but that it is meant to be non-chronological. Her only attempt to support this is a cryptic footnote to a number of translations of Genesis 2:19. She doesn’t even say what her point is, so I can assume only that she’s trying to counteract the point we have made in Do Genesis 1 and 2 contradict each other? i.e. that translating it as in the pluperfect tense as ‘God had formed the animals’ eliminates the contradiction. The strictly complementary nature of the ‘two accounts’ is plain enough: Genesis 1 mentions the creation of man as the last of a series, and without any details, whereas in Genesis 2 man is the centre of interest and more specific details are given about him and his setting. There is not incompatible duplication here at all. Failure to recognize the complementary nature of the subject-distinction between a skeleton outline of all creation on the one hand, and the concentration in detail of man and his immediate environment on the other, borders on obscurantism. Considering that CMI has written extensively on this topic, e.g. Where did Cain get his wife?, it’s inexcusable for her to raise such facile problems. She’s right that Genesis 2–3 is not exhaustive, but we never claimed it is. This does not mean it is not historical. Her further questions are blatantly leading, and ignore Genesis 5:4, which states that Adam and Eve had a number of sons and daughters, with no prohibition against some of them being born before Seth. And the Hebrew word translated city (‘ir) means any protected encampment or walled town, and the world’s population could have grown large enough by the probable near-130 years between Creation and Abel’s murder. The Protestant Reformation recovered the doctrine that scripture was perspicuous, that is, ordinary people could use sound hermeneutical principles and understand the Gospel message of scripture without needing an elite group to interpret it (2 Timothy 3:15–17). They were also determined that it was not compulsory to believe anything that could not be deduced from scripture. There is a parallel with long age issues. Note that no Christian exegete, even when interpreting the scripture in its historical and grammatical context, thought of ‘long-age’ interpretations until such views became popular in ‘science’. This indicates that such views were not gleaned from scripture. But the above quotes of Hodge et al. claim that sound grammatical principles are not enough to understand scripture; we need uniformitarian ‘science’. I fail to see the difference in principle between that view and the claim of the medieval church that we need the Papal Magisterium to understand scripture. The Hugh Ross disciple Don Stoner, in his book A New Look at an Old Earth (1997), tries to explain away the absence of long-age interpretations by claiming that God sometimes hides the truth (pp. 37–41). A logical implication of Stoner’s argument, and probably the most disturbing teaching of his book, is that God deliberately hid the alleged ‘truth’ of long ages from the most devout and knowledgeable exegetes in Christian history, and instead revealed it to deists, agnostics and atheists who used this ‘truth’ to mock the Bible. All this has baneful implications for anyone’s ability to understand the Bible. If six days should really be interpreted to mean 15 billion years, then any attempt to understand scripture is hopeless. Evil could be interpreted as good, and indeed must be, for reasons explained in the next heading. It’s no accident that many denominations permeated by theistic evolution now condone fornication, homosexual practice and abortion, even among leaders. Death is also called the ‘last enemy’ (1 Corinthians 15:26). It is insufficient to claim that this refers only to human death, because Gen. 3:17–19 states that the whole Earth was cursed, and the New Testament refers to the whole creation ‘groaning in travail’ (Romans 8:20–22). It is also wrong to claim that Adam’s punishment was spiritual death only—Gen. 3:19 indicates that physical death was part of the punishment, and the context of 1 Cor. 15:21 involves a bodily resurrection of Jesus who was physically dead. All (mis-)interpretations of Genesis which deny its plain meaning, and so involve death before sin, must assert that ‘the last enemy’, death, was a part of the ‘very good’ creation (Genesis 1:31). But how then can a Christian give a good apologetic answer to questions such as ‘Why would God allow mass murders such as the terrorist attack on New York?’ A consistent Biblical answer, as in our new booklet (right), points out that death is an intruder, so it is not part of God’s original creation, but is ultimately due to man’s sin. But according to their theology, death has always been with us, and theistic evolution even says that God used this ‘last enemy’ as His means of producing His ‘very good’ creation! This is supported by the fact that Gen. 1:29–30 teaches that animals were originally vegetarian, and that meat-eating, at least for people, was permitted only after the Flood in Gen. 9:3. Jesus said in John 5:46–47: ‘If you believed Moses, you would believe me, for he wrote about me. But since you do not believe what he wrote, how are you going to believe what I say?’ Of course, if Jesus can make mistakes in testable areas, why should He be trusted in untestable areas (cf. John 3:12)? No wonder that doubt of Genesis often leads to doubt of Christ’s other words, as discussed previously in the context of Moore College’s battle against Anglican liberalism. Indeed, Christ endorsed the Genesis records of creation (Mt. 19:3–6), and of Noah’s Flood and Ark (Luke 17:26–27). He also said ‘But from the beginning of the creation God made them male and female’ (Mark 10:6). As man was made six days after creation, a true time line of the world would indeed have man at the beginning, which the Bible indicates was about 6,000 years ago. But evolution/long age ideas have man’s existence in a microscopic segment at the end of a 15-billion-year time-line, almost an afterthought. See also Jesus and the age of the world. Jesus also cited Abraham with approval in Luke 16:31: ‘If they do not listen to Moses [the writer/compiler of Genesis] and the Prophets, they will not be convinced even if someone rises from the dead.’ Indeed, denominations that doubt Moses by teaching theistic evolution often have leaders who doubt the Resurrection too, which again is relevant to Moore College’s own battles. Many Christians, including the Moore College academics, fortunately don’t carry doubt of Genesis to the logical conclusion of doubting Christ, who endorsed Genesis. But this is not so of a professing ‘evangelical’ leader of a prominent theistic evolutionary group here in Australia (ISCAST), who have had conferences at Moore College at which Dr Peter Jensen, then Principal of Moore, spoke. This leading ISCASTian has told several people that Jesus was limited by the knowledge base extant in His 1st century Jewish culture, and we now know better because we ‘have the light of science’. But questioning Jesus Himself obviously has baneful consequences for Christianity as a whole — see further refutation of this serious error in The Authority of scripture. The back cover blurb claims, ‘For anyone who wants to really understand Darwinism, and its relationship to biblical Christianity, this short straightforward book is the place to start’. As shown, this statement is partly true and partly false. Yes, the book is short and straightforward; yes, it has value in its presentation of the history of Darwinism, the current disputes within evolutionary theory, and documentation that most evolutionary propaganda is religious rather than scientific in origin. But no, there is insufficient material on the scientific problems with evolution, and there’s nothing to show that the author has any grasp of the real problems in trying to mix the Bible with evolution or long-age views. The book provides a confused, illogical apologetic.